Stan Meyer’s Dune Buggy that ran on water. Hydrogen/Oxygen fuel in an ICE motor. On board electrolysis, no hydrogen tanks, no bombs on-board, just water. It ran 100 miles per gallon! The 2nd best inventor of the Century, besides Tesla, who was and will always be #1. Stan is the mustard seed of Water Powered Cars. It Runs on Water narrated by Arthur C. Clarke. 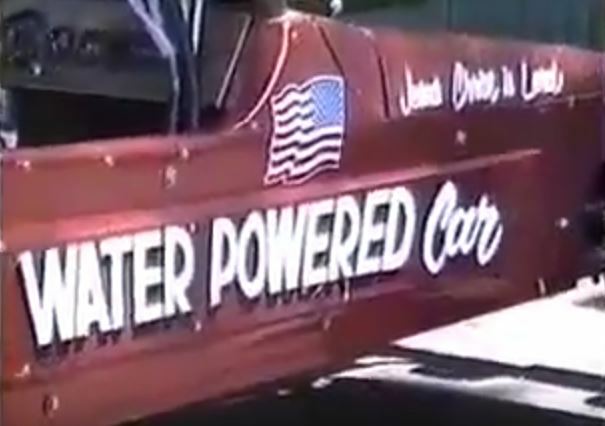 Stan Myers Water Powered Car: 100 Miles Per Water Gallon. Stan Meyer’s Dune Buggy that ran on water. Hydrogen/Oxygen. On board electrolysis, no hydrogen tanks, no gasoline just water. It ran 100 miles per gallon of water!